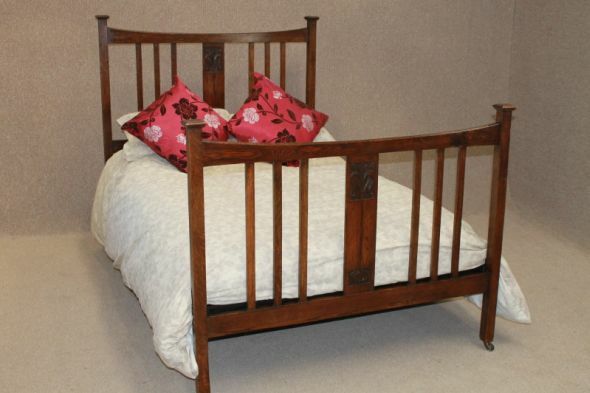 This beautiful carved oak bed is a lovely addition to our range of antique and vintage beds. This lovely Edwardian solid oak arts and crafts double bed features a newly made slatted bed base, and has an elegant slatted headboard and footboard with central carving. The bed is in good condition for its age, with just a small amount of everyday wear and tear to the polish work. An ideal piece to complement any period bedroom setting.